Gourmet restaurateur and vegan food expert Miyoko Schinner shares her secrets for making homemade nondairy cheeses that retain all the complexity and sharpness of their dairy counterparts while incorporating nutritious nuts and plant-based milks. Miyoko shows how to tease artisan flavors out of unique combinations of ingredients, such as rejuvelac and nondairy yogurt, with minimal effort. The process of culturing and aging the ingredients produces delectable vegan cheeses with a range of consistencies from soft and creamy to firm. For readers who want to whip up something quick, Miyoko provides recipes for almost-instant ricotta and sliceable cheeses, in addition to a variety of tangy dairy substitutes, such as vegan sour cream, creme fraiche, and yogurt. 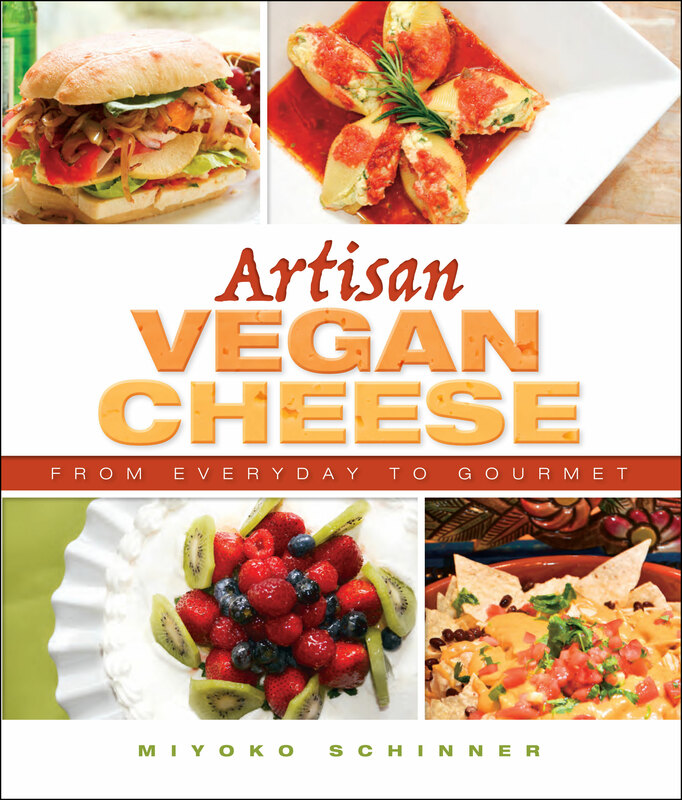 For suggestions on how to incorporate vegan artisan cheeses into favorite recipes, Miyoko offers up delectable appetizers, entrees, and desserts, from caprese salad and classic mac and cheese to eggplant parmesan and her own San Francisco cheesecake.